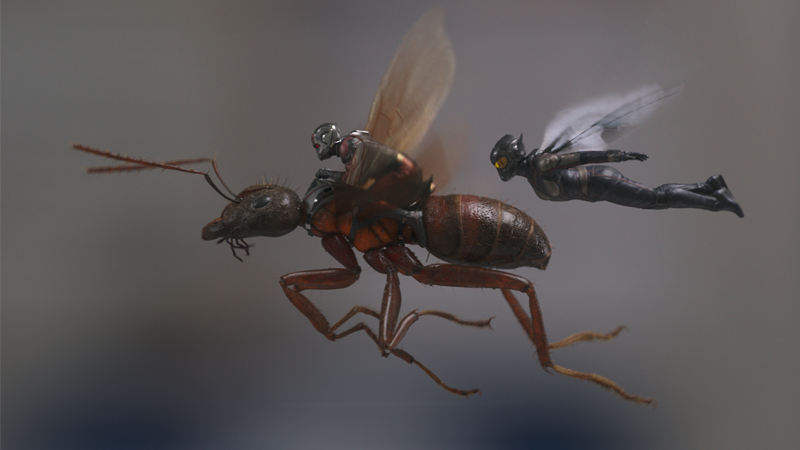 Ant-Man and the Wasp, so tiny you couldn’t see them at all during the events of Avengers: Infinity War. If you’ve seen Avengers: Infinity War, you’ll know that the film’s excellent post-credits scene doesn’t tease the most immediate next Marvel movie, Ant-Man and the Wasp, which is unusual. The screenwriters have a reason for that, even if it’s a little rude to poor Scott and Hope. Nick Fury’s space beeper, emblazoned with the Hala star of Captain Marvel’s supersuit. Half the planet’s population is gone! I’m sure Ant-Man and the Wasp could provide a little bit of hope to Earth’s remaining population. Yes, Carol’s probably going to be the most powerful hero in the Marvel movieverse in the fight against Thanos in Avengers 4, but Scott and Hope can... shrink! And enlarge! They could get down inside the gaps in the Infinity Gauntlet and make it so itchy Thanos has to drop it! But, as Markus added, the actual reason isn’t a put down of Ant-Man or the Wasp’s abilities but instead, a tonal one. Teasing a lighter, comedic film like Ant-Man and the Wasp after audiences just watched a bunch of their beloved superheroes get turned into cosmic kitty litter would’ve been some weird whiplash. That’s much more reasonable, really. Still, poor Scott and Hope, upstaged by a space beeper. Head on over to the link below to see the rest of Collider’s extensive interview with the duo.